Program successfully completed early 2000. Thanks for your help. will wear them in the line-of-duty -- everyday! 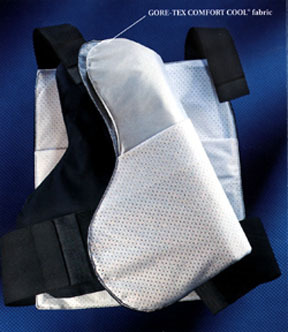 A fourth generation ballistic fiber ARAFLEX IV and Dupont Kelvar Correctional fiber woven by Hexcel into a protection vest that combines anti-ballistic and anti-puncture armor technology. Concealable, wearable and multipurpose. Addresses the daily reality of small caliber pistols as well as knives and other sharp objects. Passes the dreaded California ice pick test at 81.1 ft./lbs. Warranted to continue to perform at V50 Ballistic Limit levels for 5 years. Thickness: ¼ inch. Wt. : 1 lb/sq. ft.. 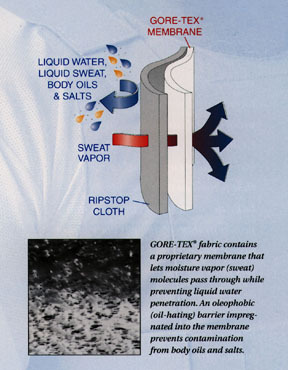 Incorporates "Gore-Tex Comfort Cool" fabric thats water and oil-proof, moisture vapor breathable pad cover and moisture-wicking "CoolMax" carrier liner for maximum "on-the-job" comfort. Lets protect the men who protect us. 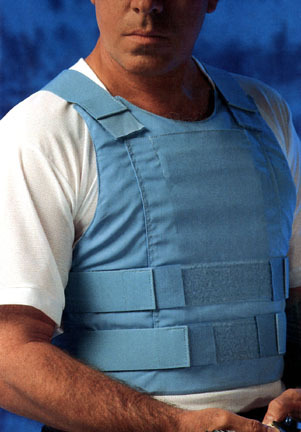 We all know the value of "hi-tech" body armor and the protection it can provide our men in the line of uncertain duty. Almost 10 years ago, the citizens of Hasbrouck Heights came together and purchased bullet-proof vests for our Police Department. It was a worthwhile investment by our community -- for a noble cause. When purchased, they were "state-of-the-art" with a ten year useful life. Now it is time to replace this life-saving protection. Once again, we are appealing to the community. Our goal is 25 vests at $800 each. Together our $10s and $20s will go a long way towards purchasing practical protection for our police. Please be generous. You can Adopt-A-Vest. Individuals, families, memorials, clubs and corporations are encouraged to Adopt-A-Vest. Your donor name will be marked in the vest and you will receive a certificate suitable for framing.